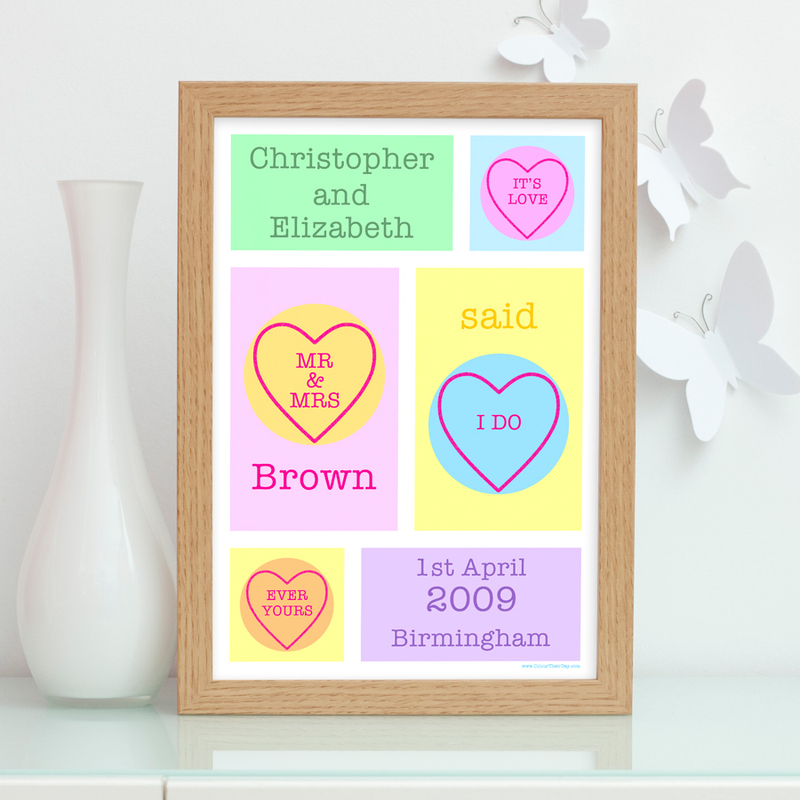 Celebrate the joining in marriage of two sweethearts with this attractive personalised wedding print. This gift will help make any wedding day a day to be remembered. The design features a multitude of pastel hearts, shapes and colours with two additional hearts displaying the words ‘It’s love’ and ‘Ever yours’. Personalised with the happy couple’s names, surname, wedding date and town or city where they were married. This print is particularly great if the names of the couple are quite long. It is available in A4 unframed, A4 framed and A3 unframed. Be the first to review “‘It’s Love’ – Sweet Heart Personalised A4 / A3 Wedding Print” Click here to cancel reply.